Was out yesterday in London city but got caught in a massive traffic jam on the way back to my aunt’s house from Greenford station – it took us 5 hours to get back. @_@ And so, due to exhaustion, I’m not out today. But I must get out tomorrow. 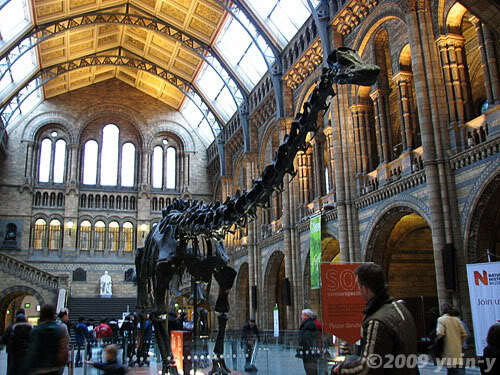 The museums are calling to meeee. Expectant smiles, waiting for me to continue. Anyway we dropped by Buckingham Palace, pitied the poor beefeaters for a while (could only see them through the gate anyway, and besides, it was raining) then hurried off to have lunch. Then before they left, they showed me to the British Museum, which I proceeded to explore for about 45 minutes before leaving to catch the train back to Greenford. Not that I really “explored” the museum. I wandered into the Egyptian section and stayed the entire 45 minutes. I didn’t finish it though – didn’t even manage to absorb half the info there was because I was short of time. And of course, the time I need increases when they allow photography! I’m rather glad I went into each museum alone first though. Because each time, I was just speechless (and snap-happy). 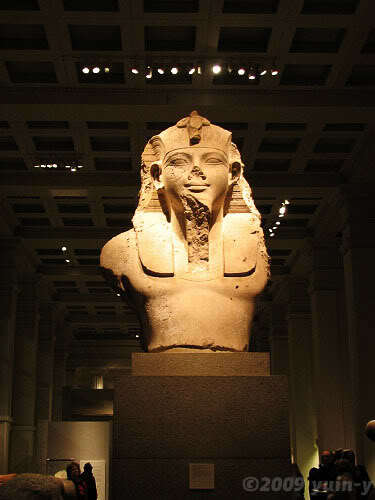 … and in the British Museum’s Egypt section, one of the first things I noticed was a huge half-statue of Amenhotep III. The Rosetta Stone should have been the first thing I saw there but there was a huge crowd around it so I barely glimpsed anything besides the top of it. boo. But I’ll see it when I get back there!! So to this person who spent a lot of her childhood watching Discovery Channel and who knew by 14 that Bob Barker was a well-known paleontologist and that Zahi Hawass is the expert on Egypt, these were maybe some of the best exhibits to start with.